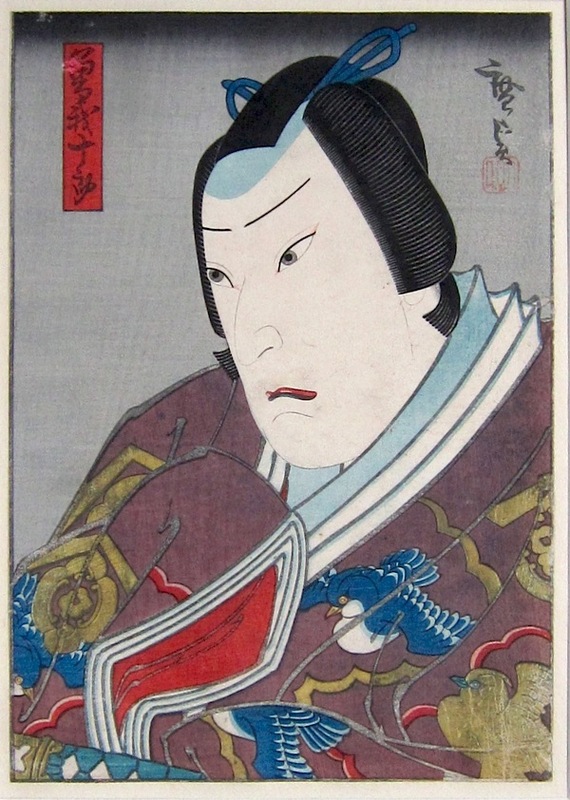 Konishi Hirosada (ca 1810 - 1864) Portrait of an Actor as Soga Juro, c.1850. Deluxe Chuban. An outstanding deluxe Osaka print by Hirosada of an actor in the role of Soga Juro - one of the enduring folk heroes of Japanese legend and frequently depicted in Japanese art. The story was a popular subject for kabuki audiences: in 1175 Kudo saemon Suketsune had his cousin Sukemichi assassinated in order to gain an inheritance. Eighteen years later, in 1193, Sukemichi’s two sons Juro Sukenari and Goro Tokimune revenged themselves by killing Suketsune in the course of a hunting party on Mount Fuji. Juro was killed in the fight but Goro was taken prisoner. What follows is the crux of the play’s tragedy for Japanese audiences. Although the shogun, Minamoto no Yoritomo sympathised with the brothers' loyalty and was inclined to pardon Goro, he was persuaded by Suketsune’s son to execute him. The conflict between the duty of the sons and the authority of the state remains a vital key to understanding both bushido (the way of the samurai) and the feudal system of the shogunate. 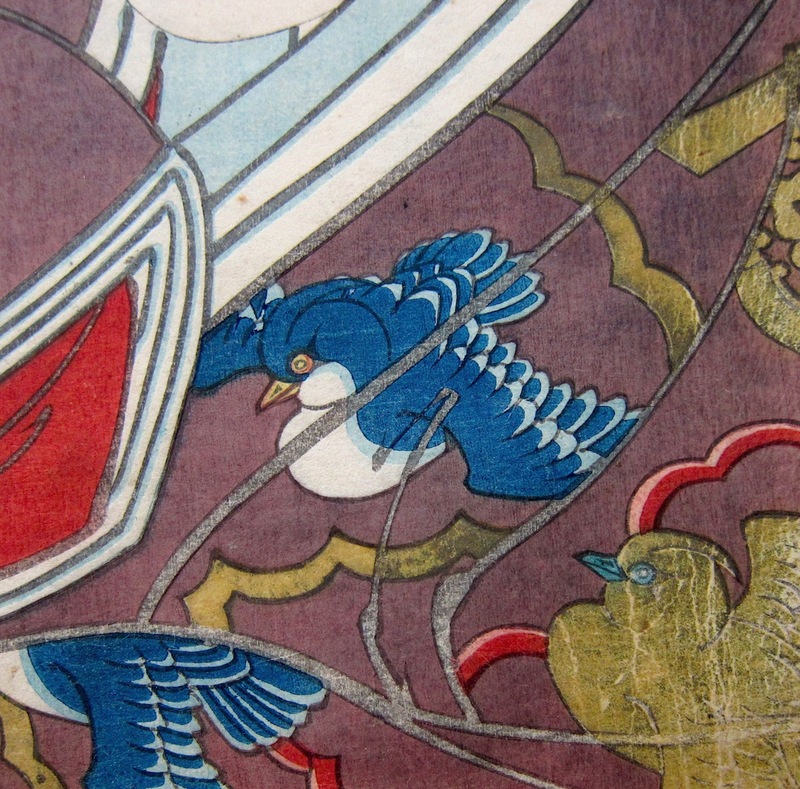 Osaka prints are generally better printed and better cared for than their Edo equivalents. Print runs were shorter and many prints were commissioned to the highest standard. This piece is no exception. In pristine condition, we see a pensive Juro clothed in a sumptuous robe decorated with blue birds and the Soga family crest picked out in gold ink. The colour and impression are very fine. The print has been backed onto Japanese album paper.